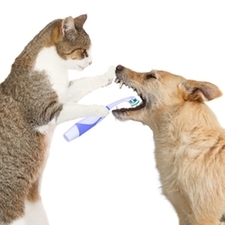 Dental health is as important for your dog/cat as it is for you. Your pet builds up plaque and tartar just like you. Can you imagine if you never brushed your teeth? One study showed that good oral care throughout life can extend your pet's lifespan by one to two years. Tooth brushing is 90% effective in removing plaque. While most cats will not let you brush their teeth, most dogs will let you brush their teeth if you start when they are puppies. You need canine toothpaste and a special tooth brush. Some dogs won't let you brush their teeth, or you can't commit to daily brushing, but there are some other options. Dog Essentials made by Healthymouth is 80% effective at removing plaque. This is an all-natural water additive. You buy the concentrate, mix up a gallon at a time, and fill your dog's water bowl. Dog Essentails can be ordered at www.healthymouth.com You will also find Cat Essentails at Healthymouth, as well. 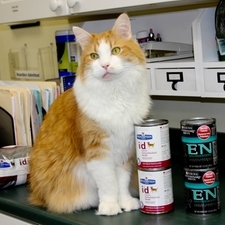 Both Purina and Hills make prescription dental diets for dogs and cats. The pieces of food are much larger than normal, so the whole tooth is engulfed and they don't crumble, they cleave, so there is a brushing action. CET chews are rawhide type treats impregnanted with enzymes. As your dog chews, the enzymes help disolve the plaque on the teeth. It is important to put some form of dental care into your dog's routine. At Mercy Animal Hospital, we want to partner with you in giving your dog/cat a healthy mouth and a healthy life. 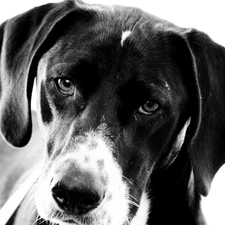 A bland diet can be useful in cases of non-specific diarrhea in family pets. The goal is to feed a diet which is minimally irritating to allow the GI tract an environment conducive to healing. This diet is not meant as a cure for all diarrheas, and should not be used without consulting a veterinarian, particularly if there is lethargy, vomiting, loss of appetite, or blood in the stools. Some cases of diarrhea will not resolve without medical and sometimes even surgical interventions, depending on the cause of the diarrhea. A bland diet consists of a mixture of a low-fat protein (either boiled skinless, boneless chicken or boiled and drained hamburger) with a a plain carbohydrate (either cooked white rice or cooked, plain pasta- no butter) A prescription bland diet such as Hill's i/d or Purina EN can also be fed. When starting the bland diet, small frequent amounts should be offered first. You can start with one tablespoon to one-fourth cup of the mixture (depending on the size of the patient) four times daily. If the diet is tolerated, and there is no vomiting, gradually increase the amount of food and decrease the frequency of the meals until you are back to the normal feeding schedule and amount of food. This should be done over two to five days. If a bland diet is being fed to treat diarrhea, do not switch back to a regular diet until stools are formed for two days. For smaller animals, start the serving measurement at one tablespoon. Gradually switch back to their regular diet by mixing it into the bland diet over three to four days. If, at any time, your pet starts vomiting, please have them rechecked as soon as possible. If your pet is not eating or is lethargic, your pet needs to be seen by a veterinarian as soon as possible. If you have any further questions, please do no hesitate to call us. 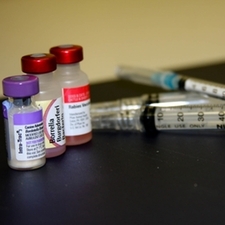 It is not unusual for pets to experience some or all of the following mild side effects after receiving a vaccine, usually starting within hours of the vaccination. If these side efects last for more than a day or two, or cause your pet significant discomfort, it is important to contact your veterinarian. More Serious, but less common side effects, such as allergic reactions, may occur within minutes to hours after vaccination. These reactions can be life threatening and are medical emergencies. Seek veterinary care immediately if any of these signs develop.